With Greenlight, your child gets a debit card that you can control at all times through a smartphone app! You can limit your child’s Greenlight card to specific stores, you can add money (or remove money) from your child’s Greenlight card right from your app, & you get notifications about your child’s spending. More info included below! 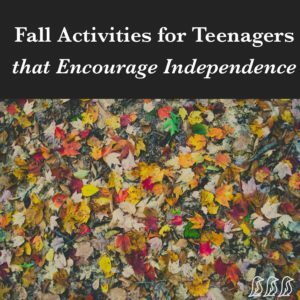 There is something wholesome about Fall fun that seems to allow teenagers to connect with friends in fun & safe ways. 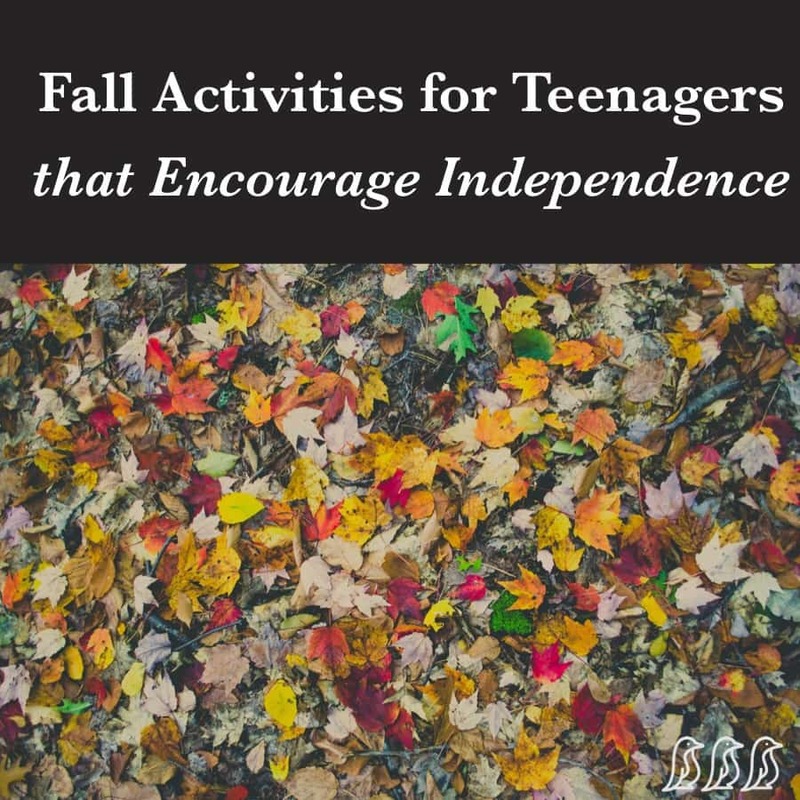 Many fall activities are a great way to allow your teenager some independence that will build life skills & mutual trust along the way. Fall Festivals or Fairs – In our area, there are a lot of town fairs that happen early in the Fall. These fairs are often packed with a mix of young families & teenagers hanging out with their friends. It is a great place to stroll around, grab some food, & hang out with friends. Corn Maze – Some corn mazes are actually pretty difficult to complete, & they are always more fun with a whole group of friends! They could split up into teams & race to the end of the maze, or they could work together. Many corn mazes also offer an after dark option where you can bring your own flashlights & try to make it through the maze in the dark, which adds a whole new level of difficulty. Amusement Parks – Some amusement parks do special Halloween themed events where they re-open the park for a few weekends in the Fall. It is one of those experiences where it works well to go as a whole family, & then let your teenagers break off & do their own thing for a bit before meeting back up with you. Movie Theaters – Many movie theaters also offer Halloween themed movie nights where they will play old classics on certain nights or weekends. Check with your local theaters to see what they have to offer! Fall Photoshoot – Many teenagers are great at taking pictures since they have grown up with a smartphone in their hand! Fall is the perfect time for them to go take a walk, capture some beautiful scenery, & take pictures of their friends & themselves. Afterwards, be sure to print a few favorites out & frame them for their bedroom or for your house in general! Haunted House – Haunted Houses are so not my thing, but I know that many people genuinely enjoy the rush of being scared. Check your local area to see which options might be a good fit for your teenager. You’ll want to do your research to make sure there isn’t anything too terrifying or inappropriate before you send them in there. Hayrides – Check your local area to see what types of fall activities are being offered. Since we live in a small town, we have a lot of different hayrides & farm themed activities to choose from! There are also haunted hayrides, which can be a fun twist on the haunted house experience. Football Games – I don’t know if there is a more classic teen experience that attending high school football games with your friends. You can add some festivity to the experience by telling them to invite their friends to come early & do some cute facepaint in the parking lot before the game starts. Bike Riding or Hiking – Oftentimes it is so hot over the summer that going for a bike ride isn’t as enjoyable as it could be. Fall is a great time to have your teenager take out that bike (that they rarely ride) & find a nice trail close to where you live. However, hiking can also be an easier alternative to getting out the bike, & with a little research, you should be able to find scenic trails that are relatively close to your home. As our children grow up, we want them to learn to be more independent & responsible; but we want to be able to do it gradually. It is easier & safer to be able to give our children smaller responsibilities & forms of independence while teaching them along the way instead of having to just suddenly cut ties & hope for the best! This is something that we need to be paying attention to early on in childhood so that when our children suddenly get a driver’s license & head out the front door, we can trust in them to be responsible & make good choices. One of the ways that we can start to encourage independence from an early age is the Greenlight debit card for kids, which is why we are so excited to be partnering with them for this article! There is a smartphone app that gives you complete control over your child’s spending. You can choose to select where your child can use their card, or you can allow them to use their card anywhere. If they lose their card, you can simply remove the money from it right through your smartphone. If they need extra money for some reason, you can add it right to the card as-needed! You can set it up so that it will pay your child an allowance automatically. You get real-time notifications of how your child is using their card. You can review spending habits with your child anytime that allows them to learn about spending habits in a very practical & visual way.